Skip pumpkin pie this Thanksgiving and make butternut squash pudding instead! 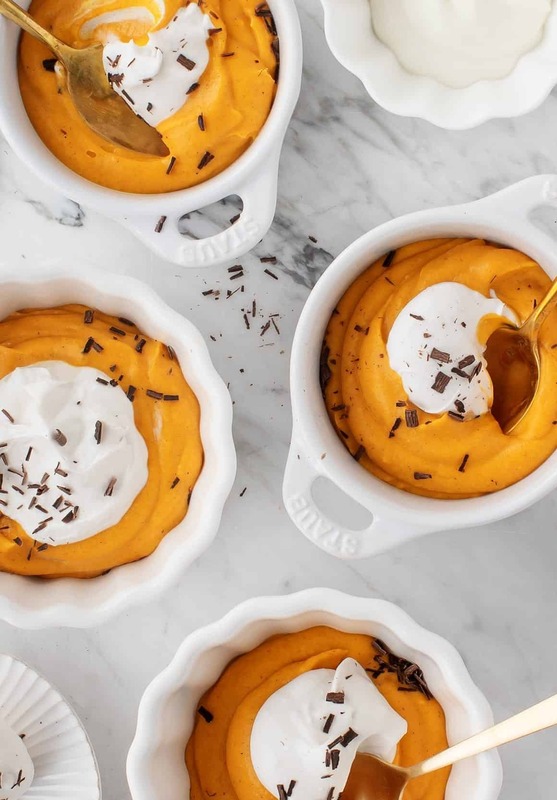 This yummy pudding is creamy and oh so pumpkin-like, but it’s made with fresh roasted squash. It’s super easy to make – just roast, blend, and chill. This recipe requires just a few ingredients (see above), but it’s so flavorful because the butternut squash itself is naturally creamy and sweet to begin with. Look at all that squash! This is dessert, yet it’s almost as healthy as eating soup! You could top these however you like, as they’re a bit of a blank canvas. At home, we eat it plain… for you, my guest, I topped them with coconut cream and chocolate shavings. I also think toasted pecans or granola would be a delicious touch. Arrange the squash cubes on the baking sheet and toss with just a little bit of olive oil. Roast for 30 to 35 minutes or until tender. (Note: the squash does not need to be golden brown, just very soft). 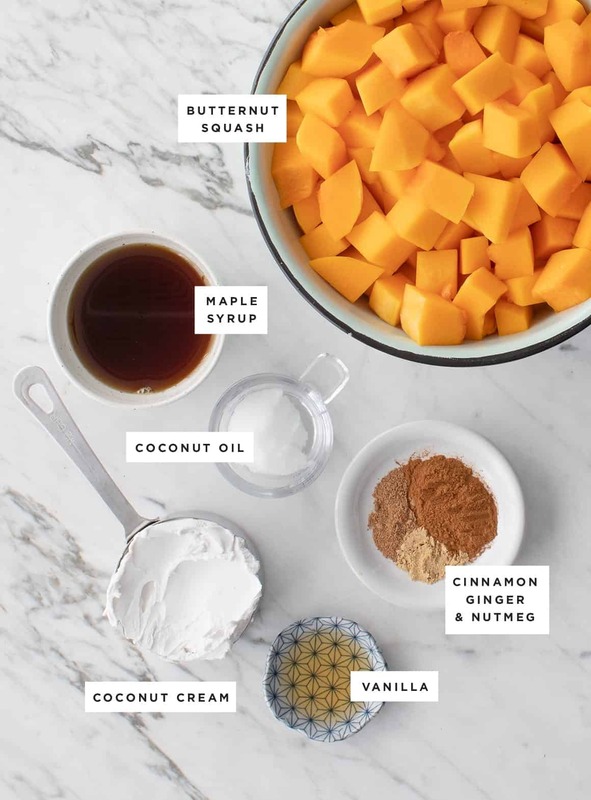 Transfer the squash to a blender and add the coconut cream, maple syrup, coconut oil, vanilla, cinnamon, nutmeg, ginger, and salt. Blend until smooth, adding almond milk, if necessary, to reach a blendable consistency. Taste and adjust the sweetness and spices to your liking. Transfer to ramekins or bowls and chill 4 hours or overnight. Serve with desired toppings. *I’ve had best results with Thai Kitchen Coconut Cream, which is soft and thick, not watery, but not too hard. I’ve also made this with Trader Joe’s coconut cream (which is thicker) and had to add additional almond milk to reach a blendable consistency.